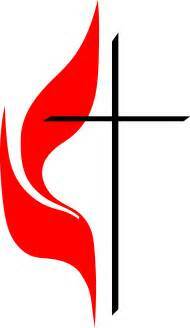 First United Methodist Church is a vibrant community of faith in the heart of Rainbow City where all are welcomed and loved unconditionally, nurtured in spiritual growth, and equipped for vital mission in our community. We welcome you to see for yourself what makes Rainbow City FUMC a great place to worship, grow, and serve. Grow in your faith, build real relationships, and discover the joy of a deeper journey at Rainbow City First UMC. Find ways you can connect. The heartbeat of our lives in Christ, in worship we experience the glorious presence of God in our midst and rededicate ourselves to purposes of God. At Rainbow City FUMC we value experiential worship that uses all the senses to draw worshipers into a meaningful connection with God. To serve is to give back, to live out of the gifts and graces that are uniquely ours for the sake of God's purposes. We have many opportunities for service both in and outside the church. Find a place where you can plug in and make a difference. “God so loved the world that he gave...,” says John 3:16. This familiar verse underscores that giving and generosity emerge from love. God has given abundantly to us because he loves us beyond all measure. The question is, how will we respond to that love. © 2016 FIRST UNITED METHODIST CHURCH OF RAINBOW CITY, ALABAMA, INC. ALL RIGHTS RESERVED.